Hi! I know it's been pretty quiet around here lately. I had a really busy period of time where I just couldn't sit down to blog, and then after that I got sick with a horrible stomach bug right after my last post which I have still barely recovered from! Everything happens at once doesn't it!? I'm going to push ahead this week and catch up on reviews! 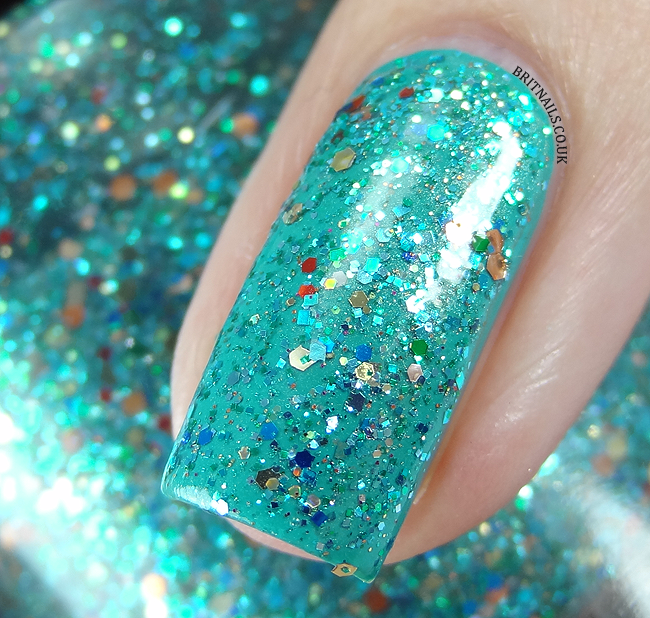 Today I have latest in my Shimmer Polish series - Jasmine, a beautiful polish made up of predominantly aquamarine and blue glitter, interspersed with gold, green and red. I've used 2 coats plus top coat, over China Glaze Custom Kicks, a teal green creme. 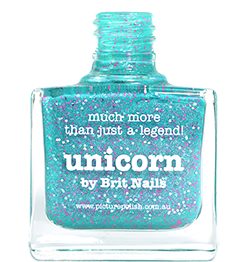 This is another winner from Shimmer Polish! Wonderfully easy application and not at all top coat hungry. You can purchase Shimmer Polish via their Etsy store or their website. International shipping is available! This is gorgeous! I need to wear mine soon. These photos are ridiculously beautiful. Definitely give the polish more than what it's due. What do you use to remove polish like this? I find that glitter polishes are a real pain to get off, even with acetone based nail polish removers.